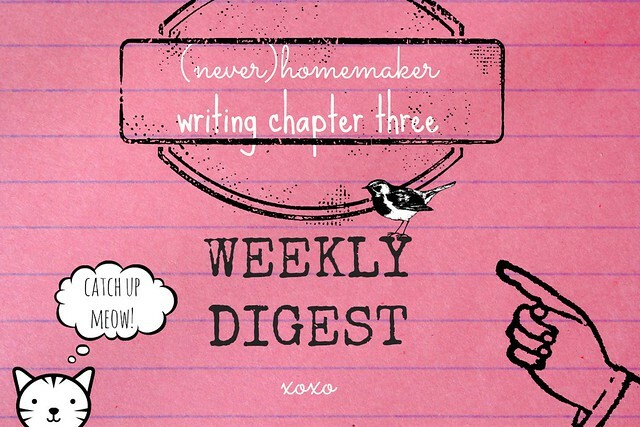 I missed a couple editions of our Weekly Digest because we were so hectic with our house stuff. So, this week -- you get DOUBLE the links! We've started giving you guys some of our favorite recipes to make with ALL Aldi foods. #unsponsored as always -- you'll love this recipe for its frugality and flavor. Here's a handy post with some of the foods I make on the weekend that fill our stomachs all week. Super simple "recipes" you won't want to miss. We got some negative feedback on our open kitchen shelving -- so we decided to be proactive and do something about it now. Check out the dramatic transformation on the cheap! A quick and easy soup that's got some unique flavor. This recipe goes the distance, too -- as we used leftovers in hummus and pizza crust! For those of you who are more visual, I posted photos of our latest Aldi haul. I was incredibly impressed with the number of foods (including organics!) we were able to snag for such a low bill. A healthed-up version of one of your favorite treats. You'll love the nutrition in this recipe, but it's got all the great taste to boot. Have a cup of soup leftover? Here's a delicious way to use it up! A wonderfully not-messy activity to do with babies and toddlers to express their creative sides. Weekend Update // House Offer Ed. We have a contingency offer on a house! A few photos, along with details from our latest 15K race (we both PR'ed). An honest view of how I feel my mothering is going these days. Though I think we ALL do a great job as parents, there's always room for improvement. Some great momma, baby, and toddler deals -- hand-picked by me for you! This month's theme is spring. Lots of wonderful finds, including some things we own that Ada absolutely loves. Some field notes from our open house -- along with the drama we faced when our sellers wouldn't sign the contract! Thankfully we do have a signature. Now we just need to sell in 60 days! I feel like I'm the only mom on the planet waiting more than two years between kids. If you're in a similar boat, read my thoughts on the matter. Our new favorite educational activity (it's something I loved as a kid!). Plus, what we decided for Ada's preschool arrangement next fall. A somewhat ramble post about a hectic life, the meaning of life, and comparing myself to Edna from The Awakening. Psssst: Don't forget to subscribe to our YouTube channel.